Asser International Sports Law Blog | UEFA’s betting fraud detection system: How does the CAS regard this monitoring tool? By Emilio García. The situation has changed considerably since then. In particular, the globalisation of the sports betting industry has had a massive impact, with recent studies estimating that between €200bn and €500bn is betted on sport every year. Match-fixing does not just affect football either; it is also affecting other sports, most notably tennis. In addition to these impressive figures, it is well recognised that match-fixing has become a global issue because it allows organised criminal gangs to expand their illegal and violent activities – which include murder, extortion and assault – worldwide. It also results in the loss of billions of dollars of tax revenue and public income every year. Indeed, match-fixing is now one of the most profitable forms of money laundering. In light of the growth of this phenomenon, both international sports federations and public authorities are now engaged in a continuous battle against this scourge. More and more sports federations are establishing specific programmes in this area, which is having a major impact at national level. And as regards public authorities, various resolutions have been adopted by the European Union, several initiatives have been launched by INTERPOL and EUROPOL, and, in particular, excellent work has been done by the Council of Europe, which adopted the first ever international treaty aimed at combating the manipulation of sports competitions. These are all good examples of cooperation between public authorities and the world of sport, but we are still a long way from winning this particular battle. In May 2006, a match-fixing scandal – christened the ‘Calciopoli’ – was unearthed in Italian football. Investigations led by the Italian police revealed that a network of club managers, officials responsible for referees and other individuals had sought to influence the outcome of various matches in the Serie A. Several clubs were punished by the Italian Football Federation (FIGC). One of those clubs was AC Milan, which was given a 30-point penalty. However, despite the deduction of those points, AC Milan still managed to qualify for the 2006/07 UEFA Champions League. This situation was highly frustrating for UEFA, which felt that it was unable to prevent AC Milan from participating in its competition, despite the club’s involvement in match-fixing. It should also be noted that AC Milan went on to win that competition, beating English side Liverpool FC in the final on 23 May 2007. UEFA’s response to the AC Milan case was a swift one. At the very next UEFA Congress, which took place in Dusseldorf on 25 and 26 January 2007, representatives of the various member associations approved a new paragraph 3 for Article 50 of the UEFA Statutes. That amendment, which remains in force today, established a two-stage process aimed at guaranteeing the integrity of UEFA’s competitions. The first stage involves an administrative measure, whereby the offending club is excluded from European competitions for one season. The second stage involves disciplinary measures, which may be imposed subsequent to the administrative measure and do not have a maximum duration. UEFA has been very active in applying this two-stage process to its European club competitions – particularly as regards the first stage. Since the introduction of this peculiar but successful process, more than ten clubs from all over Europe have been declared ineligible to participate in UEFA competitions. In some cases, those one-season bans have been accompanied by disciplinary measures. It is firmly in the interest of UEFA, as the organiser of sports competitions, for the integrity of its competitions to be ensured and perceived to be so by the public. It is undeniably in UEFA’s interest to show the public that it takes all necessary steps to safeguard the integrity of its competitions. UEFA does not need to wait for a final decision at domestic level, particularly when it comes to criminal proceedings, since neither UEFA nor the CAS can be forced to defer their decisions when an effective fight to ensure the integrity of sport depends on prompt action. UEFA and the CAS are not subject to the same rules as the ordinary courts in terms of procedure, proof (types of evidence and standard of proof) and substance. The essential aim of the administrative measure is not to punish the club, but to protect the values and objectives of UEFA’s competition, its reputation and its integrity. It seeks not only to prevent a club which has violated such values from taking part in UEFA’s competition (i.e. to protect the integrity of that competition), but also to dispel any doubts in the public domain regarding the integrity, values and fairness of its competition (i.e. to protect the reputation of that competition). The administrative measure is not of a disciplinary nature. Consequently, the fundamental legal principles that could potentially be applicable to disciplinary matters are not relevant. The question of whether the club has any degree of culpability as regards the prohibited activities is entirely irrelevant. The principle of nulla poena sine culpa does not apply to administrative measures adopted by sports associations. The range of conduct resulting in the application of an administrative measure is broader and more generic than that resulting in a disciplinary measure, which is, in principle, more restrictive and specific. The administrative measure is only applicable to a club, whereas disciplinary measures can be imposed on all persons bound by UEFA’s rules and regulations (i.e. member associations and their officials, clubs and their officials, match officials, players, etc.). The CAS ruling on KS Skënderbeu: Is betting analysis sufficient to declare a club in breach of UEFA’s integrity rules? UEFA’s betting fraud detection system (BFDS) was established in 2009 in response to the growing threat of match manipulation in both UEFA and domestic competitions. The BFDS highlights irregular betting patterns, both before and during matches, in the core betting markets, monitoring all major European and Asian bookmakers. The core betting markets are: the Asian handicap market; the totals market (number of goals in a match); and the 1X2 market (home win, draw or away win). The BFDS covers all UEFA competition matches (approximately 2,000 per season) and all matches in member associations’ top two divisions and cup competitions (approximately 30,000 matches per season). The BFDS uses sophisticated algorithms and mathematical models to compare calculated odds with actual bookmakers’ odds, in order to determine whether the odds at a specific point in time or over a specific period are irregular. If a match displays irregular betting patterns, the matter is escalated and a report is generated. These reports include detailed information on the betting operators being monitored, together with match-specific data – e.g. regarding the current form of the teams involved, on-field action, players, match officials and motivational factors (such as the potential for promotion, relegation or qualification for a UEFA competition). Reports contain textual analysis and expert assessments, as well as graphical representations of movements in the relevant betting market. UEFA’s primary BFDS partner and information provider is Swiss-based company Sportradar. Founded in 2001, this company employs a team of highly trained sports betting analysts dealing exclusively with European football. On the basis of analysis of BFDS reports, it was concluded that Albanian football club KS Skënderbeu had been involved in a very large number of matches with inexplicable betting patterns. These included matches in Albania’s domestic league, the Albanian Cup and UEFA competitions, as well as several friendlies against foreign clubs. On the basis of UEFA’s experience in the areas of betting and match-fixing, it was concluded that the activities relating to Skënderbeu were of a highly organised nature. While the vast majority of clubs will never feature in BFDS reports, it should be noted that Skënderbeu has appeared in more than 50. If we look at all the clubs that have been the subject of BFDS reports since 2010, Skënderbeu has been flagged up far more times than any other club in Europe. Against this background, charges were brought against Skënderbeu before UEFA’s disciplinary bodies with a view to imposing an administrative measure preventing the club from taking part in the 2016/17 UEFA Champions League. A hearing took place before the UEFA Appeals Body, which acted as the first and final instance in this case. The Appeals Body upheld the charges against the club – i.e. it deemed that Skënderbeu had indeed been involved in domestic and international activities aimed at arranging or influencing the outcome of matches. Consequently, the club was declared ineligible to participate in the 2016/17 UEFA Champions League. Skënderbeu then lodged an appeal against this decision before the CAS. The dispute between UEFA and Skënderbeu before the CAS essentially revolved around the interpretation of the BFDS reports and the legal value that should be attributed to them. UEFA, for its part, relied on those betting reports in concluding that the Albanian club had been involved in activities aimed at arranging or influencing the outcome of matches at domestic and international level. Skënderbeu, on the other hand, maintained that the BFDS reports (i) were not sufficient to prove match-fixing, (ii) were not capable of attributing specific responsibility as regards involvement in match-fixing, and (iii) were simply objective alarm mechanisms, which needed to be supported by other external evidence pointing in the same direction. The CAS limited itself to an analysis of four Skënderbeu matches in UEFA competitions (namely, the club’s matches against Crusaders FC on 21 July 2015, against GNK Dinamo Zagreb on 25 August 2015, against Sporting Clube de Portugal on 22 October 2015 and against FC Lokomotiv Moskva on 10 December 2015) and refrained from analysing domestic matches and other pieces of evidence submitted by UEFA. It did so in order to avoid prejudicing any disciplinary measures that UEFA might potentially impose on the club. Using this analogy, the Panel explained how analytical information was processed within the BFDS, highlighting the fact that the BFDS – like the ABP – indicates the likelihood of a violation having occurred, rather than providing absolute proof one way or the other: “The BFDS analyses whether the analytical information regarding betting on football matches can be explained by ‘normal’ circumstances. The conclusion that the statistical information cannot be explained by ‘normal’ circumstances does not necessarily entail that it must hence be concluded that the results are to be explained by match-fixing.” The Panel went on to say that “[i]n order to come to the conclusion that a match is fixed […] the analytical information needs to be supported by other, different and external elements pointing in the same direction”. With this in mind, the Panel noted that “the final conclusions drawn are not only based on analytical data and the absence of any ‘normal’ explanation, but indeed take into account several external factors corroborating the theory that the abnormal betting behaviour was likely to be explained by match-fixing: suspicious actions of players that took place on the field of play, suspicions raised by an opponent after the match, the emergence of a betting pattern in respect of the Club whereby it would concede late goals when the tie was no longer competitive and the fact that the Hong Kong Jockey Club, a prominent Asian bookmaker, removed the Club from live markets before the end of a game”. All in all, the Panel concluded that the “analytical information derived from the BFDS is valuable evidence that, particularly if corroborated by further evidence, can be used in order to conclude that a club was directly or indirectly involved in match-fixing”. Over the last few years, I have heard many betting experts state that monitoring is not the answer to match-fixing in sport. I fully agree with all of them, particularly since they know far more about the betting market than I do. Perhaps as a consequence of my limited legal skills (since even bad lawyers are always trying to find solutions to a complex reality), I would prefer to say that monitoring is not the only answer to match-fixing. What the CAS ruling on Skënderbeu shows is that action can be taken if you have a proper monitoring system. Again, monitoring is not the sole solution to this problem, but it represents an additional evidentiary tool and can play an important role in legal proceedings. We should remember that match-fixing is linked to corruption and that the parties involved will inevitably “seek to use evasive means to ensure that they will leave no trail of their wrongdoing”. 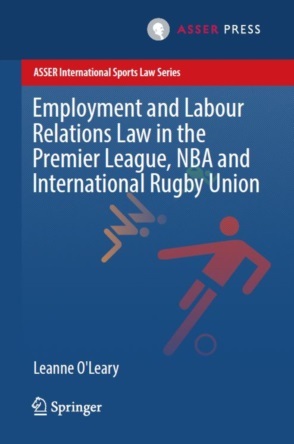 Importantly, the legal framework governing match-fixing is clearly different for ordinary courts, where “the applicable rules in terms of procedure, proof (types of evidence and standard of proof) and substance are not the same as those that apply before UEFA and the CAS”. In this context, a monitoring system can play a key legal role in safeguarding the integrity of a competition. A copy of the CAS award is available at: http://www.uefa.org/disciplinary/casdecisions/index.html. Article 3(4) of the Council of Europe Convention on the Manipulation of Sports Competitions. See Hill, D. (2016). Why sport is losing the war to match-fixers. Global Corruption Report: Sport, Transparency International, p. 231. Eight Men Out, directed by John Sayles, which was released in 1988. See Carpenter, K. (2013). Global Match-Fixing and the United States’ Role in Upholding Sporting Integrity. Berkeley Journal of Entertainment and Sports Law, Vol. 2, Issue 1. See Sorbonne-ICSS (2014). Protecting the Integrity of Sport Competition: The Last Bet for Modern Sport. See FIFPro (2016). 2016 FIFPro Global Employment Report. See ESSA (2016). ESSA Q3 2016 Integrity Report. See Anderson, J. (2014). Match Fixing and Money Laundering. 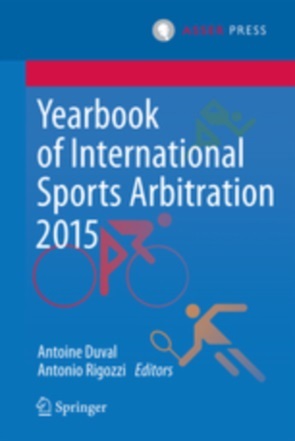 The International Sports Law Journal. Among others, the Tennis Integrity Unit (see http://www.tennisintegrityunit.com/) or the Cricket Anti-Corruption Unit (see http://www.icc-cricket.com/about/46/anti-corruption/overview). The full official UEFA statement is accessible at the following link: http://www.telegraph.co.uk/sport/2342180/Milan-restored-to-Champions-League.html. CAS 2013/A/3256, Fenerbahçe SK v UEFA, para. 160 et seqq. Article 4.02 of both the Regulations of the UEFA Champions League 2016/17 and the Regulations of the UEFA Europa League 2016/17 (http://www.uefa.org/documentlibrary/regulations/index.html). TAS 2011/A/2528, Olympiacos Volou FC v UEFA, para. 141. CAS 2014/A/3625, Sivasspor Kulübü v UEFA, para. 123. CAS 2014/A/3628, Eskişehirspor Kulübü v UEFA, para. 136. Calculated odds are a mathematical representation of the true probability of an occurrence, without the external effects of money and subjective opinions. In effect, they show what should be happening to the odds, instead of what is actually happening. See Forrest, D., & McHale, I. (2015). An evaluation of Sportradar’s fraud detection system. See García, E. (2015). UEFA’s Judicial Bodies. Football Legal, Issue 4. See Article 24(4) of the UEFA Disciplinary Regulations. See Article 4.03 of the Regulations of the UEFA Champions League 2016/17. CAS 2016/A/4650 Klubi Sportiv Skënderbeu v UEFA, para. 82. CAS 2010/A/2172, Mr Oleg Oriekhov v UEFA, para. 54. TAS 2011/A/2528, Olympiacos Volou FC v UEFA, para. 136.